Our clients often ask why PDF is the recommended format for accessible content. Many times, clients will have files in their native formats from Microsoft Office and the question comes up as to why not keep these files in Word. In fact, in some countries, such as Australia, have adopted a policy of recommending Word over PDF regarding accessibility. 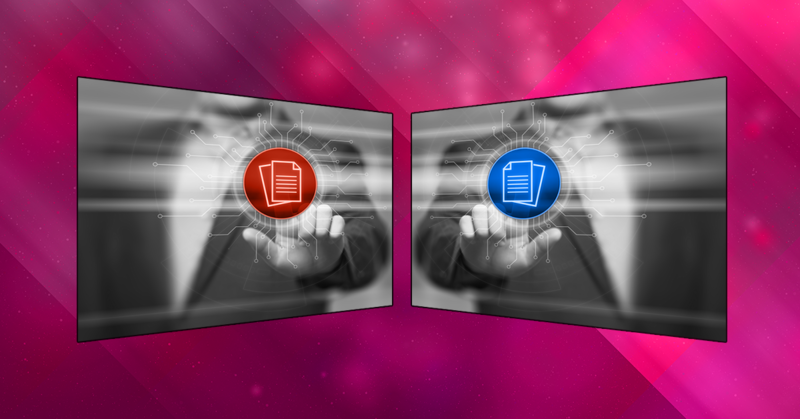 Some groups will advocate for having both PDF and Word versions of the same document for the sake of accessibility. So, why the confusion? The primary reason for the argument relates to mobile devices. PDF contains a well-documented tagging structure that ensures that when a PDF is properly tagged, it will be accessible to people with disabilities, such as the blind or visually impaired. The problem is that currently neither iOS’s VoiceOver or Android’s TalkBack work with properly tagged PDF documents. The issue needs to be fixed by the mobile phone manufacturers as this limitation has existed for many years now and continues to be a problem for mobile users. While PDF has the ability to be completely accessible due to the tag structure, the lack of support on mobile applications is the reason for the recommendations to use Microsoft Word. Is Microsoft Word a superior format for accessibly? First, let’s discuss the difference between how PDF addresses accessibility and how it is handled in Word. Unlike Word, accessibility information in PDF is added in a separate layer from the content. That layer (the tag tree) describes the content without impacting any of the physical appearance. This approach makes it possible to virtually make any kind of document accessible without changing the content or its physical layout. Since the tag tree is what is “read” by the screen reader, it is possible to accommodate much more complex documents as are typically created in tools such as Microsoft Word. This difference is really the game changer as to why PDF is the superior format. An accessible Word document allows only the simplest of data tables. Data tables in Word cannot have merged cells anywhere, and there’s no way of marking multiple columns as row headers or column headers. In PDF, the use of “Span” and “Scope” attributes of header cells allows us to make any table, regardless of its complexity, accessible without reformatting it (which is not always possible in Word). An accessible Word document does not allow for “anchored” images or objects. Text wrapping is a useful feature in Word, but to be accessible, text wrap must be set to In Line with Text instead of wrapping the text around the image. In Line with Text sets the image/object reading order in relation to the text. In PDF, the reading order is simply decided by the placement of the image tag in relationship to the tag that describes the text. The images below show the different types of text wrapping in Word. Screenshot below shows text wrapped around three green shapes placed in a paragraph. USE THIS TYPE OF WRAPPING: In Line with Text. Example shows a green shape between two paragraphs, with no text to the right or left of the shape. Expanding on that, it’s impossible to have an accessible “newspaper” format of text in a Word document. That is the format where an article starts on one page and continues to the next page. In PDF, the tags for these articles are simply placed after each other, making for an uninterrupted reading experience. There’s nothing similar in Word. PDF allows the user to assign alternative text to anything. With this feature, you can provide additional information for meaning that is conveyed using color or style. Whereas in Word the document must be modified so it doesn’t use color to convey meaning (or uses color in addition), when making a PDF accessible we can simply provide the meaning in alternative text. When documents contain scanned text, we can perform OCR and include the scanned text in a hidden layer under the page image. Users can search for the text and select it, copy and paste it as if the page is not scanned. You simply can’t do this in Word. Color and Contrast issues are problematic in either format and need to be fixed during the authoring stage. To view accessibility issues with color and contrast, we recommend downloading the free Colour Contrast Analyser app. When it comes to forms in Word, there are multiple accessibility issues. The tooltip is limited to 64 characters, which makes it impossible sometimes to properly describe the fields and give them content. Scripting additional functions like mutual exclusion of checkboxes and calculations is extremely difficult and involves macros (posing a security issue) and is generally very limited. It is extremely challenging to make Word documents fully accessible after they are created because they will usually require a redesign to accommodate accessibility. For simple documents, the Word format is accessible on mobile devices; if mobile users are your primary audience, then the format can work for your needs. Just keep in mind that anything beyond a simple document will cause accessibility issues on both mobile and desktop screen readers. For most documents, especially the real world documents most people create, a properly tagged PDF file will be completely accessible using a screen reader. CommonLook’s recommendation is to publish documents as properly tagged PDFs to ensure maximum accessibility for your audience. As they continue to expand their mobile products’ accessibility, we encourage Apple and Google to fully support the ISO standards such as PDF/UA and incorporate the ability to read tags in future releases of their mobile screen reader tools.